Escape during our winter months, and head south to the peaceful depths of Patagonia for spring and summer warmth. Patagonia is an area the size of Washington, Oregon, and California, with only 1.8 million people. 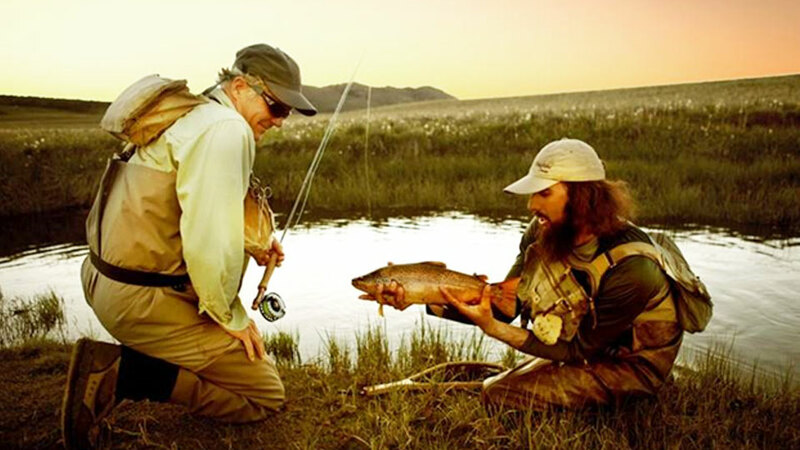 Safe, friendly, yet isolated and hauntingly beautiful, you’ll enjoy the culture as much as the world-class fly fishing. 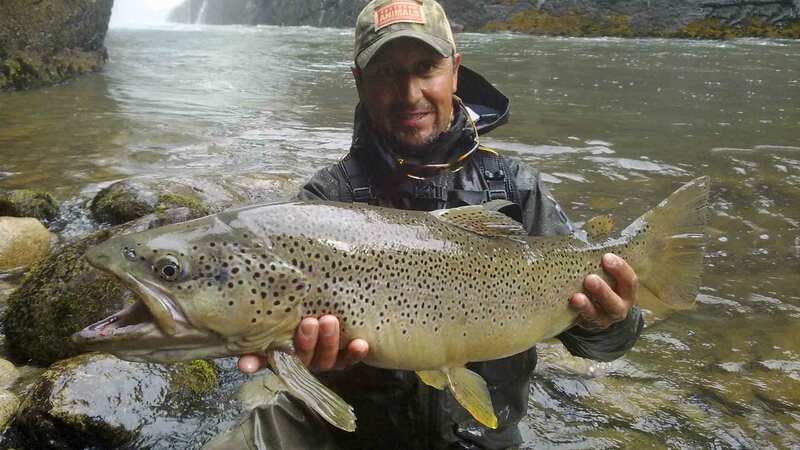 The Rio Simpson is probably the most famous river in the Aysén region; it has significant caddis and mayfly opportunities. Browns and rainbows from 14-22 inches are the norm. 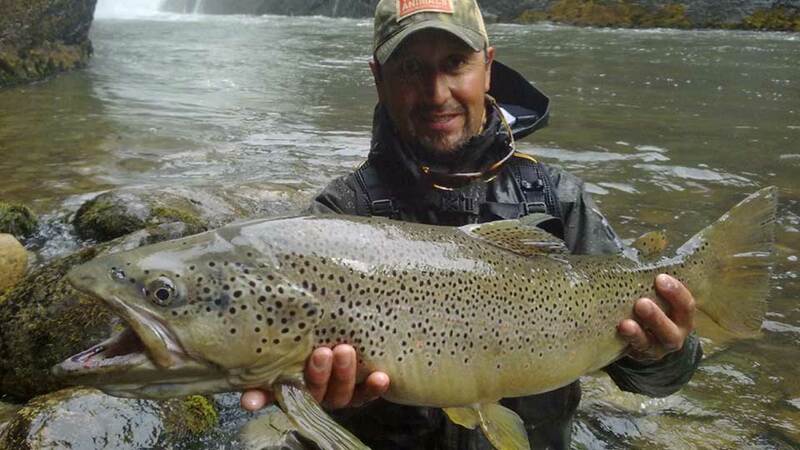 However, trout up to 30 inches have been caught on a fly. 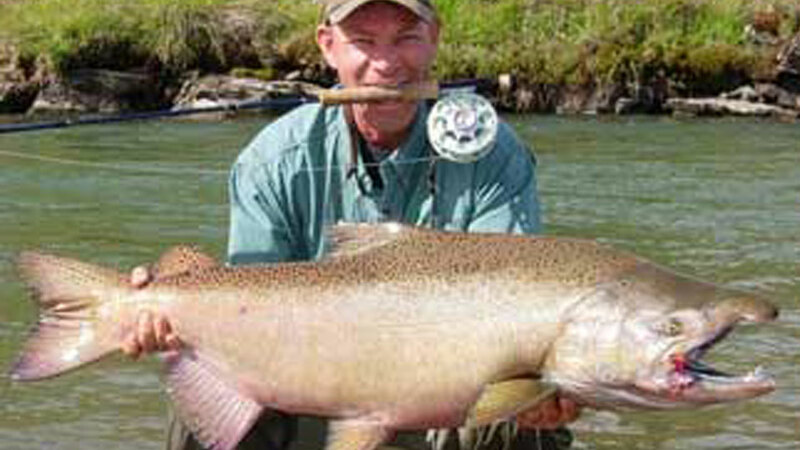 King salmon up to 45-pounds run this river from early January through mid-March, their summer months. The Rio Paloma, a glacial, crystal clear, freestone stream with iridescent blue water, provides fantastic dry fly and streamer action for both browns and rainbows. 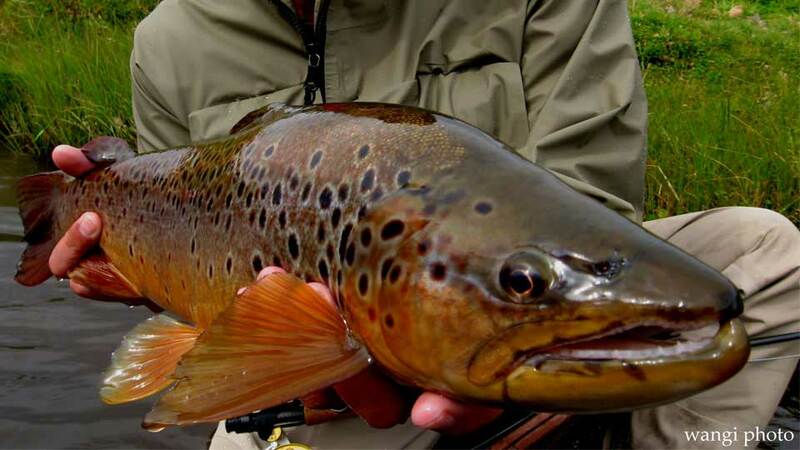 The Paloma was originally a brown trout fishery until rainbow were successfully introduced in the late 1990s. 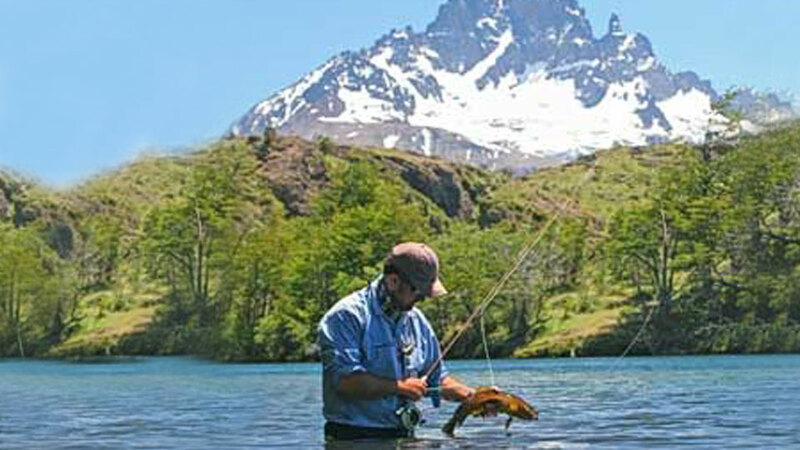 After partnering with private ranches and estates, Cinco Rios Lodge gained over fifty miles of exclusive access on Zorro Creek, the Pedregoso River, and the Ñirehuao River. Numerous rivers are available, including the beautiful Rio Azul. 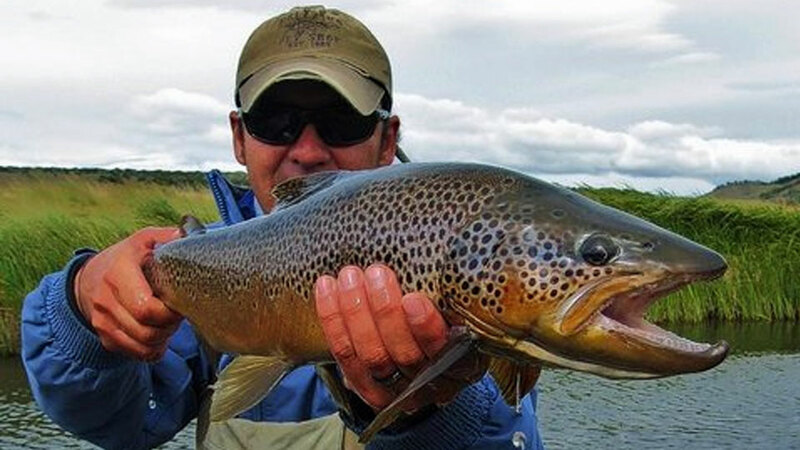 You're jet boated into this beautiful river where Browns from 17 to 21-inches are not uncommon. 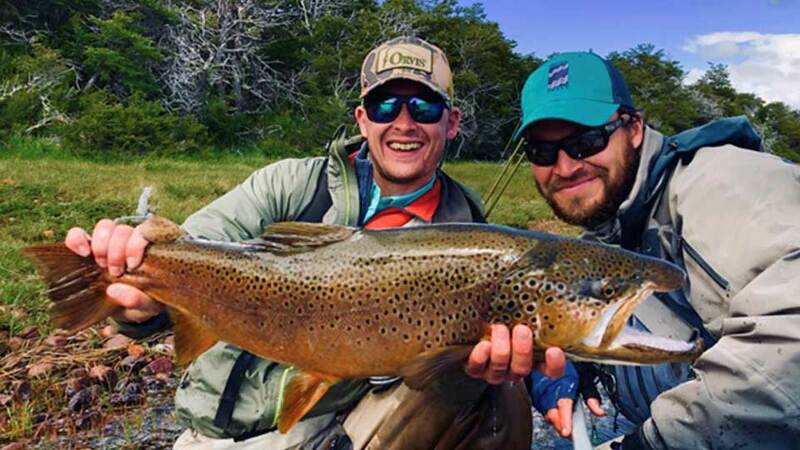 View Fly Fishing Patagonia video. Lodge Season: The Cinco Rios season runs from the first week of November through the first week of May. Boats: A typical fishing week includes two days of wading, two days fishing from a drift boat, and two days fishing from a cataraft with a jet outboard engine to access rarely fished waters. Spring season: November and December is a good time to catch both browns and rainbows on streamers and nymphs. Stonefly hatches are constant and exciting to fish. Summer season: January and February is their best dry fly time. You’ll fish dries, terrestrials, and emergers during this period. 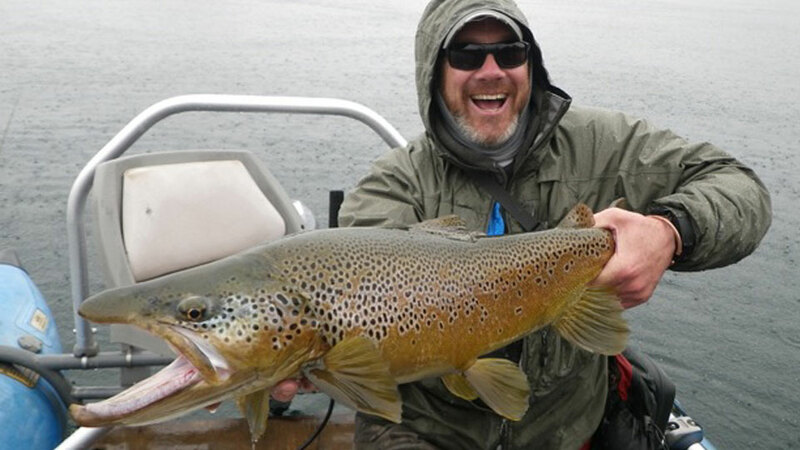 Fall season: March and April is the time for the Big One when brown trout spawn. Fishing Licenses: are not included in the package and run about $40.00. Streamside lunches are served on a beautifully arranged table, with robust wine, soup, a main course, and dessert. The Lodge accommodates up to 12 guests. 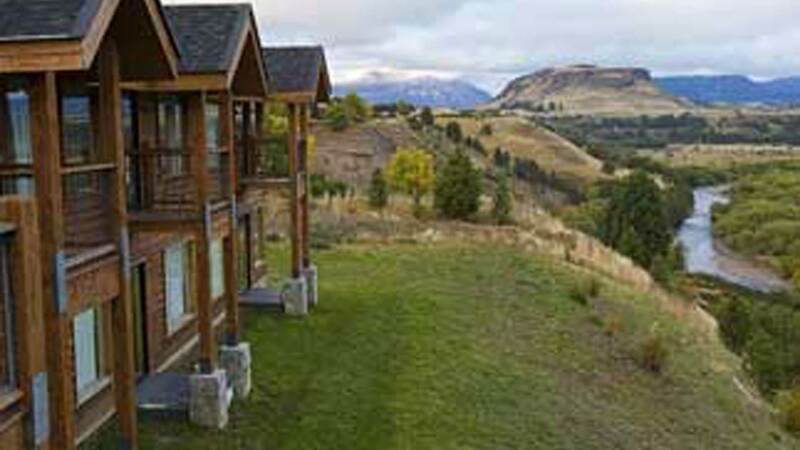 Each bedroom has two king beds in separate quarters, a sitting area with comfortable chairs, a private bathroom, and a beautiful balcony overlooking the Simpson Valley. The main living room boasts a large fireplace, comfortable armchairs, and sofas. 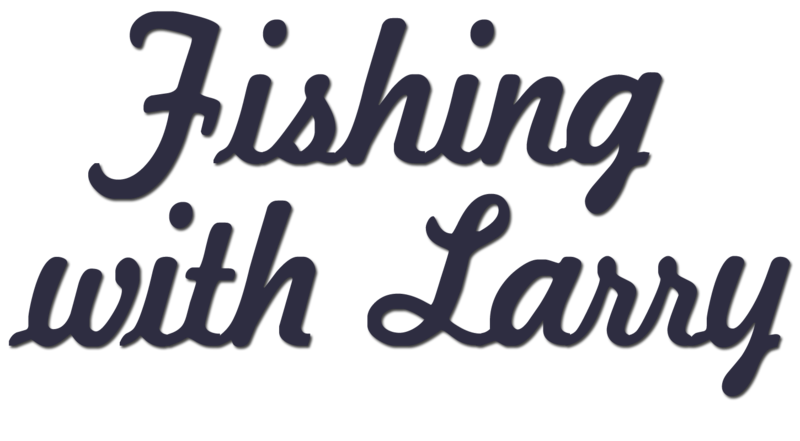 Laundry service, Wi-Fi connection, a fly shop, and a fly tying room are available. The dining room’s large windows overlook green meadows and sunsets. Meals: Gourmet meals with spit-roasted meats, fresh fish, range-fed beef, Chilean lamb, all enhanced with herbs from the Lodge's gardens. 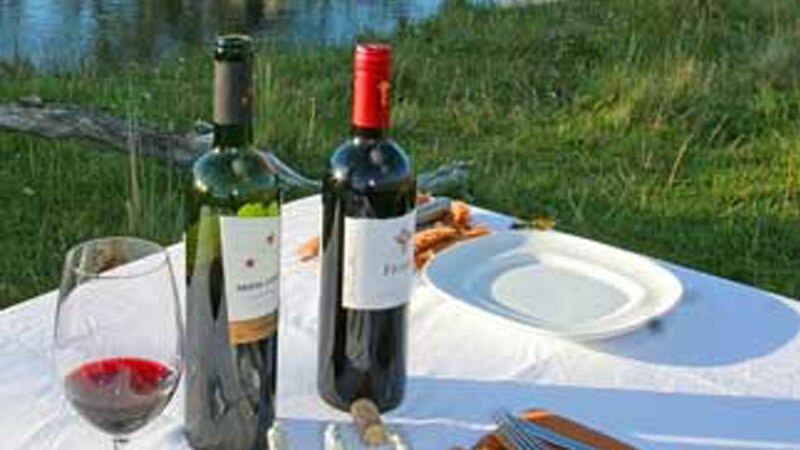 The open bar with Chilean wines and beverages are included in the package. Non-Angler Activities: A guide is on staff to take non-angling guests for hikes, horseback riding excursions, kayaking, and mountain biking. Angler Win Harris and guide with Cinco Rios brown. You'll fly to Santiago, Chile. Then you'll take a three-hour flight from Santiago to Balmaceda. 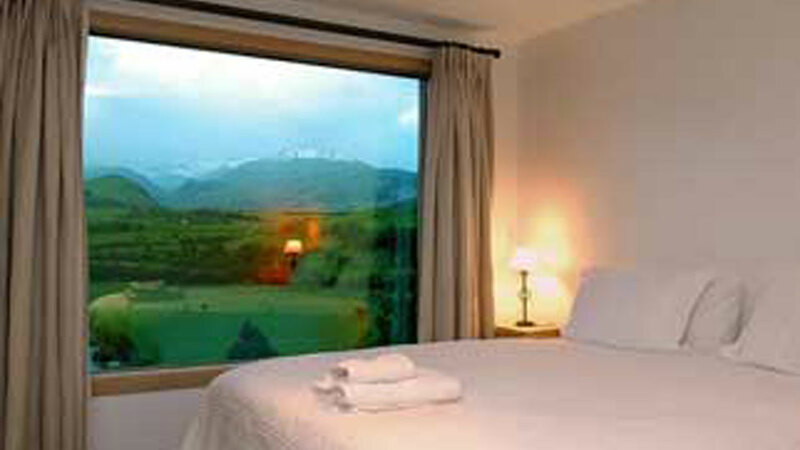 A lodge representative will greet you at the Balmaceda Airport and transfer you to the Lodge, about a 75-minute drive. You’ll arrive at Cinco Rios Lodge in the afternoon. Roundtrip ground transfers Balmaceda Airport to the Lodge, guided fishing, accommodations at the Lodge, Wi-Fi, meals and beverages (including wine, cocktails, and bottled water). 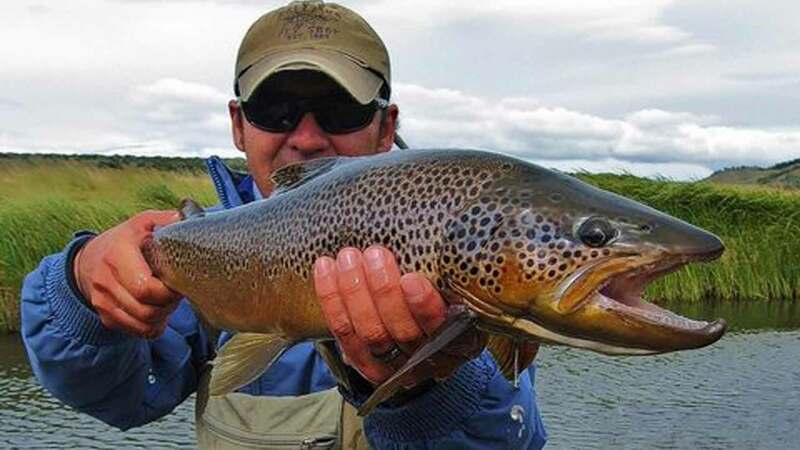 International airfare, roundtrip airfare to and from Balmaceda, Chile; use of fishing equipment and flies, gratuities, items of personal nature including telephone calls, laundry service, fishing licenses ($40.00) available at the Lodge, and anything not mentioned under inclusions. 6:30 a.m. - Coffee is ready. 7:00 a.m. - Breakfast is served. 8:00 a.m. - You’ll head out with your guide for the day. 1:00 p.m. - Lunch is served streamside. 2:00 p.m. - Back to fishing. 6:00 p.m. - Return to the Lodge. You’ll have a chance to freshen up. You’ll then meet for appetizers and cocktails at the bar. 8:30 p.m. - Dinner is served.